In this second video I clean up the walls that I quickly drew in the first video and then add a doorway, kitchen window, and move the existing windows to their final locations. I also cover the framed walls with exterior plywood sheathing. No new drawing tools are introduced but I do explain how I use layers to manage the different objects in the drawing. I’ll be posting more segments to this tutorial soon, so be sure to subscribe to the Tiny House Design YouTube Channel. 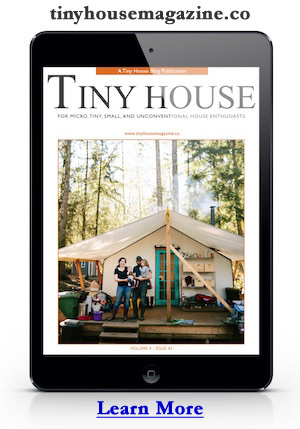 This entry was posted in How To and tagged tiny house, tutorial, Video, youtube. Have you considered including a download link for sketches of the plans you sell? This would make it easier to play around with changes in design and furnishing. Well. . .maybe some of your plans. I can see where this could create IP issues. Still it would be great to juggle modules from the modular plans. I would love for someone to come up with a download that one could play with. I would definately pay a subscription to try my hand at what I would want in my tiny house. It would be easier to design and send for a cost sheet. Could be another fee. It would be analyzed as to safety and such. I have such a hard time with just getting the skeleton together. It would be great to choose from tiny house sizes 8×10, 8×14 etc. Door on side or on end…. on wheels on not. What do you think…. silly idea? Great idea Kaitlyn! I’ll noodle over how to make all that happen. Seems like a great way to help people get closer to their dreams. Thanks!